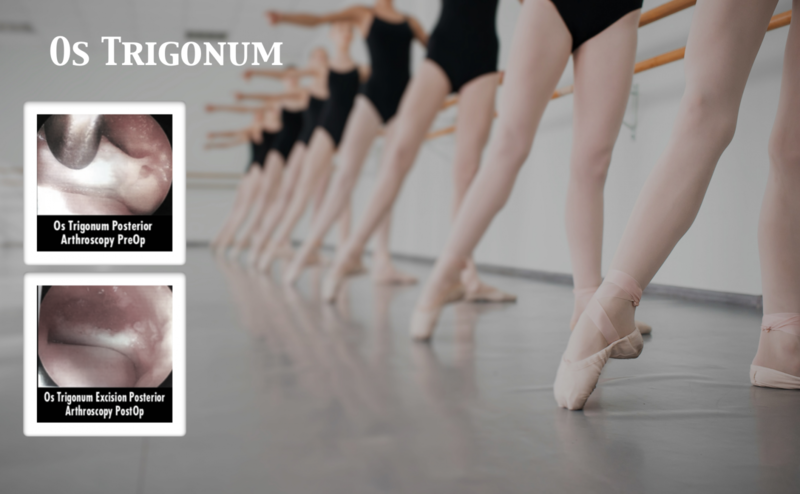 The extra small bone in the back of the ankle called the os trigonum.Muscles allowed other causes of pain in the back of the ankle including small avulsion fractures off of the tibia or fibula or fractures of the body of the talus. 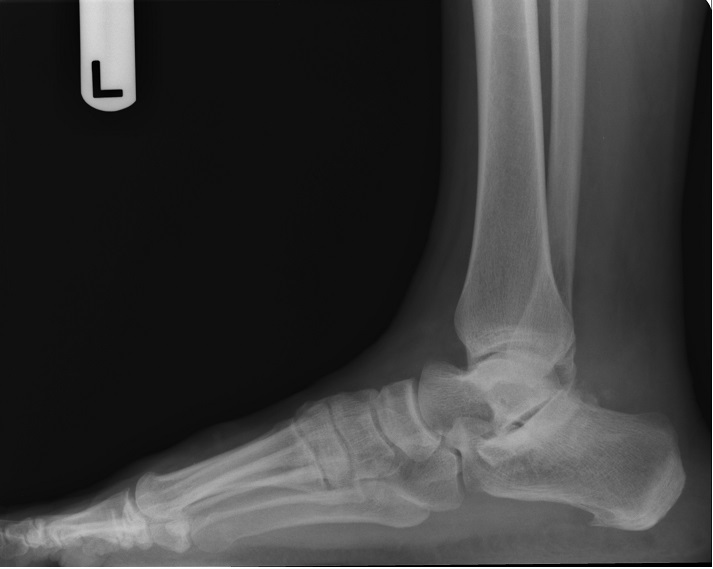 The os trigonum is a ossicle (extra bone) variant that occurs in the back of the ankle/subtalar joint. Typically occurs from birth and is present usually in both extremities. 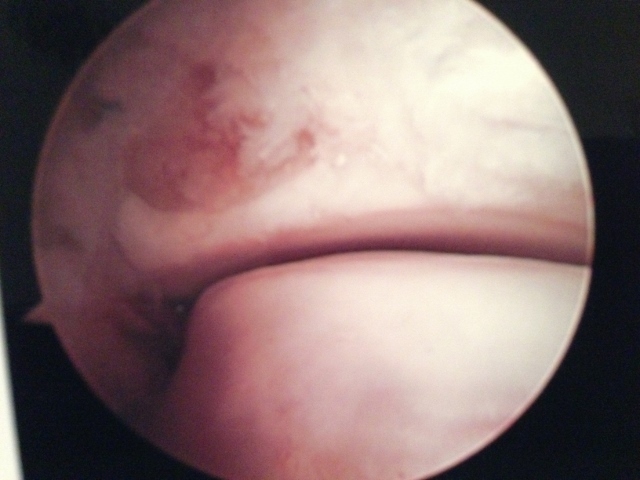 Pictured below is a female patient who had very large symptomatic ossicle that was very painful with activity especiallat any activity involved the ankle pointing the foot downward. 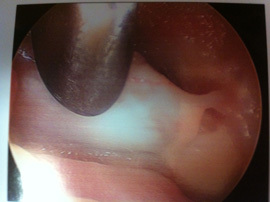 To the left is pre-operative image, and to the right is post open resection of the ossicle. 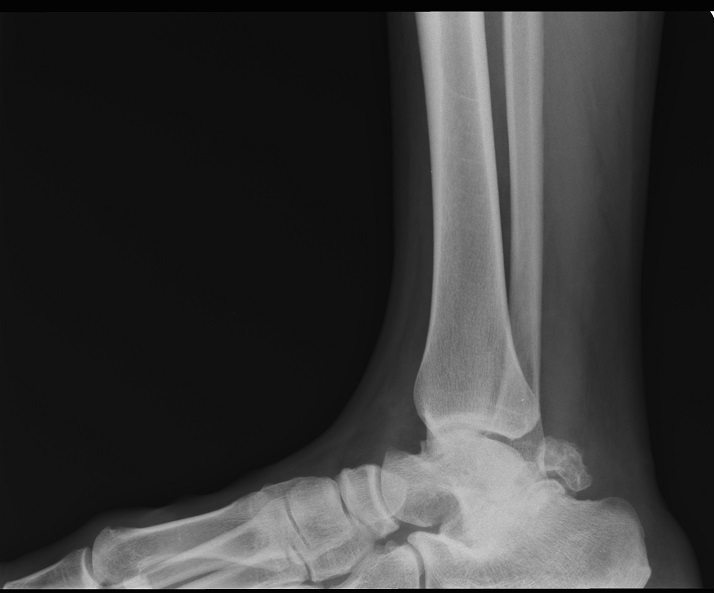 Below are bilateral x-rays of ankles in which the os trigonum can be visualized as present in both. It is the small round-like bone near the back of the ankle coming off the the back of the talus bone. MRI showing inflammation of the os trigonum with associated soft tissue swelling. 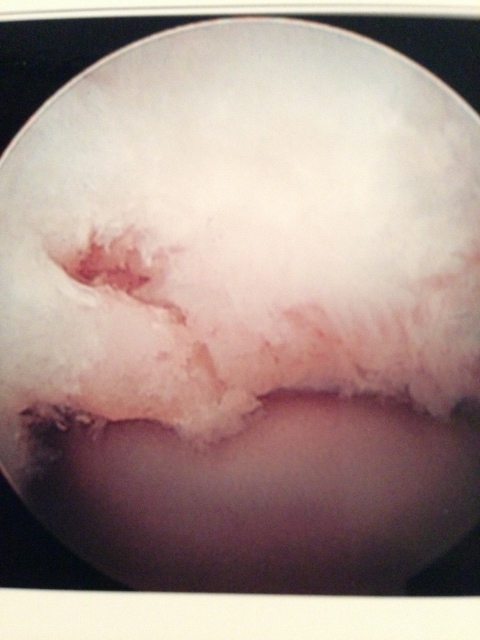 The image below is that of an intra-operative image under arthroscopy of a symptomatic os trigonum indicated by metal probe. The image below is after removal of the os trigonum and now you can clearly visualize the posterior facet of the subtalar joint with healthy cartilage. 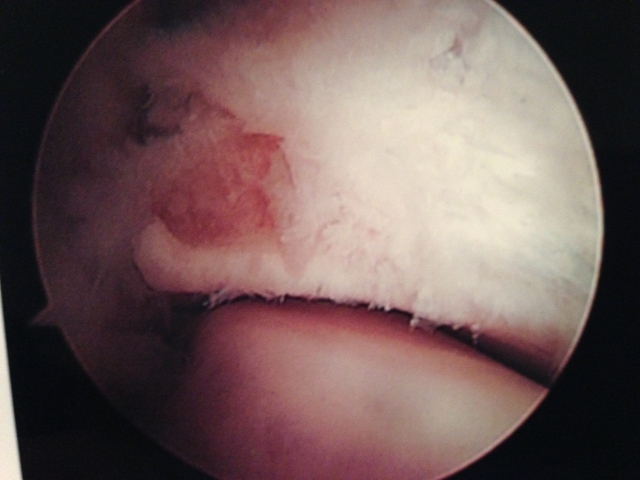 Arthroscopy pics of os trigonum attached by cartilage. It is on the left hand side.